Rich, creamy, delicious alfredo sauce is on of our very favorite dinners. 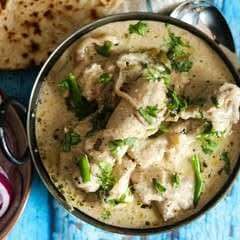 It is easy to make and and the whole family will love it, so make it for dinner as soon as possible! 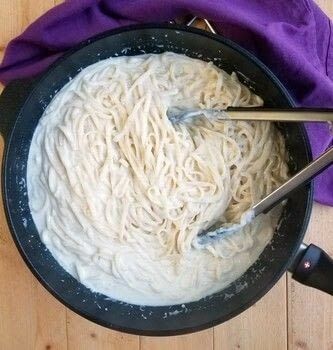 Alfredo sauce is rich creamy heavenly goodness all the way around. This recipe is super easy to make and it is sooooo good. Toss your favorite pasta in it or just dive in with a breadstick. You can't go wrong, make it and you'll see! Melt butter in large saucepan, add garlic and cook for two minutes. Add milk and cream cheese. Cook until slightly bubbly. Add Parmesan and heat 3-5 minutes or until cheese is completely melted. Stir in a pound of pasta cooked al dente and desired mix-ins.